Today is a new challenge at 7 Kids College Fund Challenges to use Die Cuts and or Punches. 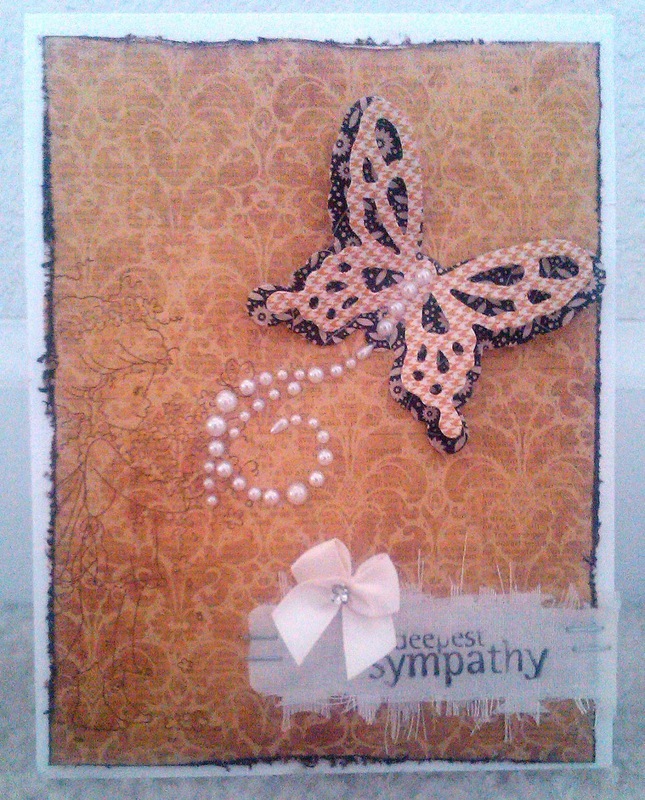 I finally used my Wonderful Wings Spellbinders set (which I'll clue you in on a little secret, it says it's for the grand caliber but they are sized just find to run thru a cuttlebug) I made this sympathy card for our 7 Kids DT Sister Frances who just lost her brother to cancer. She's amazing, still creating projects for us even in the midst of all the arrangements, I definitely wanted her to know that she's in my thoughts and prayers. Unfortunately, hubby accidentally took my camera with him to work and my good picture is on there so I had to retake a picture with my phone. YUCK! I will replace this with the good picture as soon as he gets home. It's gorgeous Carisa. I'm sure it will definitely bring comfort to Frances. thanks for the tip on the butterfly die!